Graphite One Resources has completed and released its preliminary economic assessment (PEA) for the proposed Graphite Creek Mine project. According to the PEA, the mine’s Net Present Value is estimated at more than $1 billion before taxes. 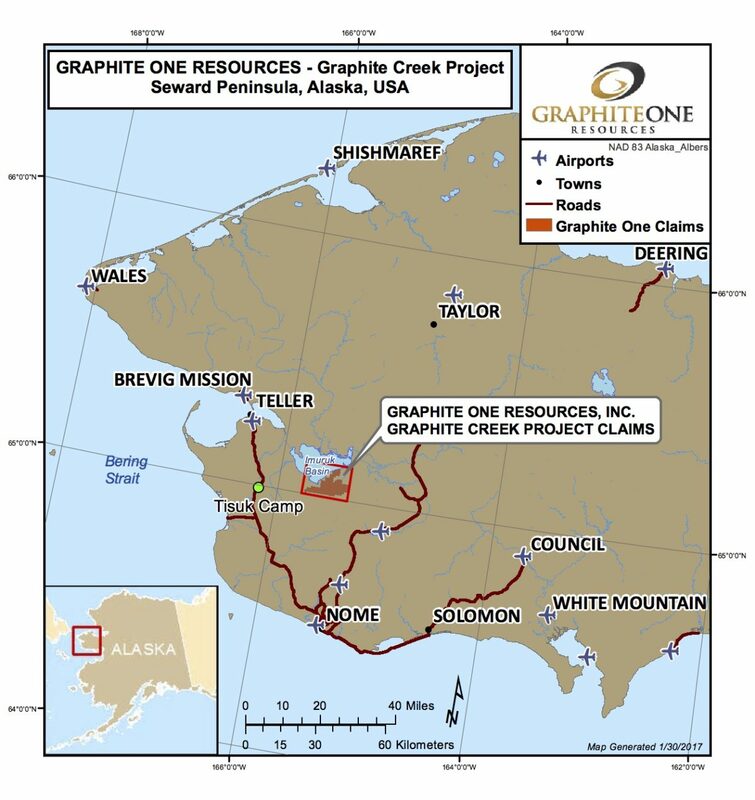 The Executive Chairman of Graphite One Resources, Doug Smith, says the PEA shows positive results based on assumptions that independent qualified persons made when assessing the mine. Smith says that the estimated cost to operate the mine and its manufacturing and processing plants is about $363 million. He expects it will be at least five years before the mine is even operational. “Between then and now, we must do many things. One of them is to increase our confidence the resources in order to move them to a measured category, and do additional work on the quality and the metallurgy of the graphite mineralization. And then, we have several, in-depth engineering studies to do, a pre-feasibility, feasibility study, and, of course, we also have a very detailed permitting process to go through,” stated Smith. Joy Huntington, president of Uqaqti Consulting, says the first presentation on this PEA took place in Teller, which is the closest community to the mining site. Brevig Mission and St. Mary’s Igloo are the other communities closest in proximity to the proposed Graphite Creek mine. The questions and concerns people had for Huntington are mostly focused on a few topics. Environmental manager of the Graphite Creek mine, Cal Craig, says environmental impact was minimal during the exploration phase of the project, and any land affected going forward has to be reclaimed based on requirements of the Bureau of Land Management and of the Department of Natural Resources. “One really nice thing about this project is it’s not on a road system, it’s all fly rigs. So that means it’s all rigs set up on wooden pads, helicopter-supported, and so, you can imagine the impacts are very, very small compared to if a road was plowed in and you used a dozer to push out a large area. So, the areas we are talking about that were impacted during the exploration have been extremely small. They go in afterwards, they tear the pads down, reseed it, and you can’t even find the sites afterwards,” explained Craig. Between now and the opening of the mine, many tests still have to be done, but Huntington said she assures community members that they will be informed as more information becomes available about the project.